What type of income is acceptable to get approved? Printed paystubs showing deductions, Unemployement, Fixed income such as SSI, SSD, Workers Comp. What if I’m self-employed? That's fine, as long as you can prove your income with bank statements showing deposits, or canceled checks that you recieved. Do I need a down payment? Most people do need some cash down. That is how the bank gets comfortable with loaning you the rest of the money you need to purchase the vehicle you want. How much of a down payment will I need? The amount of your down payment is determined by the bank giving you the loan. 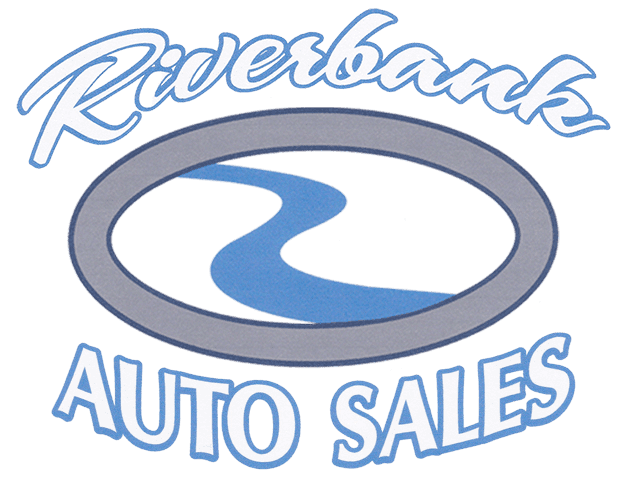 It's different for every customer, and depends on several factors, such as credit history, length of employment, and the kind of vehicle you wish to drive, We here at Riverbank Auto will work with you to find the right vehicle, at the right down payment, and the right monthly payment for YOU! What if I have a trade-in? Great. We take trades whether they are running or not. We will appraise the trade value of your vehicle and apply that towards your down payment. Often, we have customers whose trade in is worth enough that they don't need any additional cash to get the vehicle they want. I’ve had a repossession. Can I still get approved? Yes! Even if your repo was yesterday, we will get you approved for a loan. I’ve had a bankruptcy. Can I still get approved? Yes! Even if your bankruptcy was discharged yesterday, we will get you approved for a loan. If I’m currently in a Chapter 13 (making payments) bankruptcy, can I still get approved? Yes! There is a form for us to fill out called a "Permission to incur debt". After it's filled out, you need to get your attorney to have it signed by the Trustee. The Trustee will sign it in most cases, and you will be good to go. I’ve never had credit before. Can I still get approved? Yes! As long as you have verifiable income, we will get you approved for a loan. How much income do I have to prove? The minimum is $800 per month, before taxes are taken out. What will my monthly payment be? That will depend on several different factors, such as what vehicle you want, how much your downpayment is, the length of the loan, the interest rate, etc. We will work with you, so that you can get the monthly payment that best fits your budget. Will I need a co-signer? As long as you can prove you make over $800 per month, you will not need a co-signer. However, in some cases, having one may reduce the down payment required by the bank, and the monthly payment may be lower. Do I have to have a bank account? No. However, if you have one, you can have the payments automatically withdrawn on a weekly, bi-weekly, or monthly schedule. This can help you establish good credit easier. Will financing a vehicle at Riverbank Auto help me establish my credit? Yes! The finance companies we get you approved with report to all 3 credit bureaus. Will my vehicle have a warranty? Almost always! In fact, over 97% of the vehicles we sold last year had at least a 2 year/24000 mile warranty.